Catherine Dufault established a UMF chapter of the nationwide Food Recovery Network in hopes of reducing food waste on the campus and helping the hungry in Franklin County. FARMINGTON — University of Maine at Farmington student Catherine Dufault considered taking her senior year courses online instead of returning to campus after the upcoming December break. But her passion for reducing food waste and helping the hungry encouraged her to stay. “I wasn’t done making a difference in this community yet,” Dufault said. Two weeks ago, Dufault, an environmental planning and policy student from Holden, Massachusetts, started an initiative to help reduce food waste on the UMF campus while simultaneously helping reduce hunger in Franklin County. In November, Dufault established a UMF chapter of the Food Recovery Network, a national charity that engages students on college campuses to fight food waste and hunger. Through the Food Recovery Network, college students on 161 campuses nationwide are working to recover meals from their school’s dining halls to then take to area homeless shelters. Wednesday night, as UMF’s South Dining Hall was bustling with students enjoying their annual holiday meal, Dufault was collecting three crates of bagged leftovers containing rice, vegetables and Beef Stroganoff that had been served for lunch earlier that day. This was the second food recovery that Dufault has done this semester as part of the Food Recovery Network. 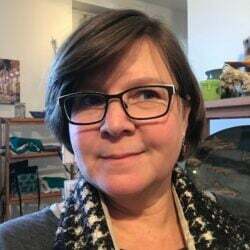 Once Dufault has picked up the food from the dining hall, she then drives the crates of food to the Western Maine Homeless Outreach in Farmington, where that agency can use it as needed. “The aides that are there are always so incredibly grateful to see me,” Dufault said. As an intern for Aramark, the campus dining service, Dufault was seeing fresh, prepared food being recycled into compost. Dufault, a student who had been interested in hunger issues in Maine, thought there could be a better way to put this usable, untouched food to use. Now, through the campus chapter of the Food Recovery Network, instead of composting this usable food, Aramark workers are packaging the leftover food every week into bags and containers that they keep in a temperature-controlled environment until Dufault picks up the food on Wednesday evenings. 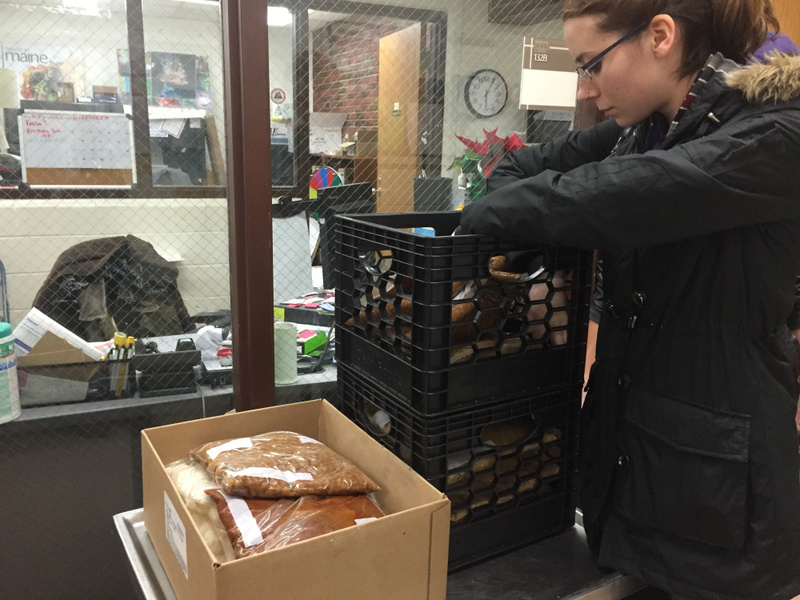 With the upcoming semester, Dufault hopes that food pickups will be able to happen more often than once a week. A sign-up list for volunteers that went out earlier this month generated 70 names of people who want to get involved with the Food Recovery Network.